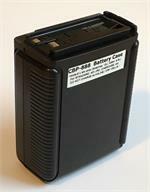 CBT252 : 10 x AA battery case for Standard, ADI, JRC radios. Holds Alkaline (1.5v) or rechargeable batteries (1.2v). Output: 15VDC with 10 Alkaline AA dry cells, or 12VDC with 10 NiCd/NiMH AA cells. Has built-in charging port for when NiCd/NiMH are used. WC-888 : Custom Plug-in wall charger for CBP-888 case. Slow-charges 8 x AA NiCd or NiMH cells while in the in CBP-888 case. 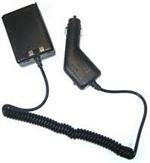 The WC-888 is a plug-in Wall Charger specifically designed for the CBP-888 case. It plugs into a 110-120VAC wall outlet; the other end plugs into the charging jack on the side of the CBP-888. Charge current = 200mA/hour. Slow-charges 8 x AA NiCd or NiMHs. 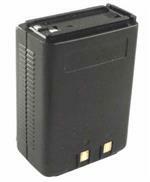 CNB-242xh : 12v 1200 Ni-MH battery pack for STANDARD, ADI, Heath, JRC radios, etc. Replaces CNB242, RBP-120, CNB-152, etc. Outy of stock. 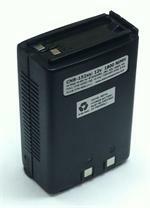 CNB-242xh: 12volt 1200mAh Ni-MH rechargeable battery pack for STANDARD, ADI, JRC, Heath, & Relm radios. Replaces original #s CNB242, CNB-152, RBP-120, etc. Re-charges via plug-in wall charger, or via Desktop drop-in quick charger.